To create a Customer Management System for a telecom service provider, we built three applications – a web application, a mobile web application and a native mobile application. The web application was developed for customer management and system administration. A customer management section that allows for managing customer contracts, bills, payments and products. An administration module is used for access control, outage notifications and application configuration. A mobile web application is an additional security level for the main application. In order to access the main web application, a user must generate an access token using a smart phone. 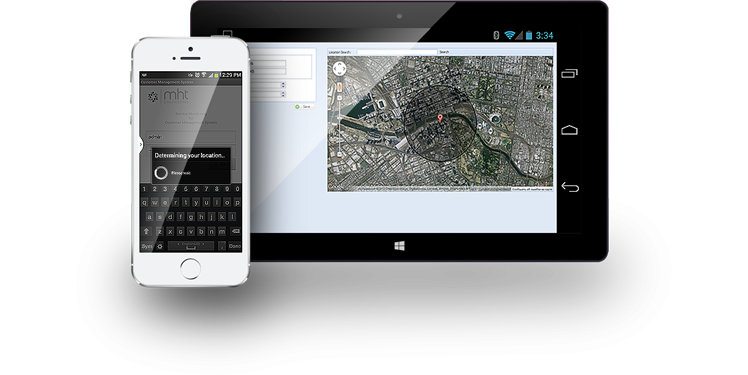 Assess is granted only if a physical location (GPS coordinates) of the user are within the allowed area. A native mobile application for system monitoring receives alerts from a server monitoring tool (e.g., Nagios) and alerts the system administrator. Mobile application UI was developed with the use of a leading mobile application framework Sencha Touch.